This special christening gown is the perfect way to enhance this important day. 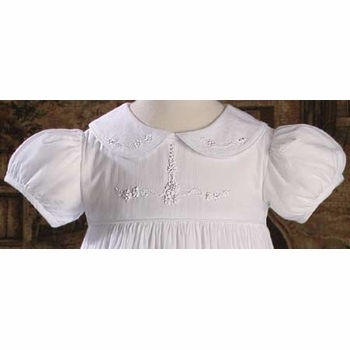 The beautiful 33" short sleeve gown features hand embroidery and shadow embroidery on bodice and skirt. 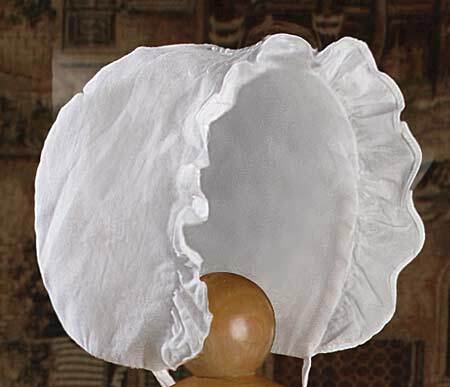 Includes matching bonnet and attached slip. 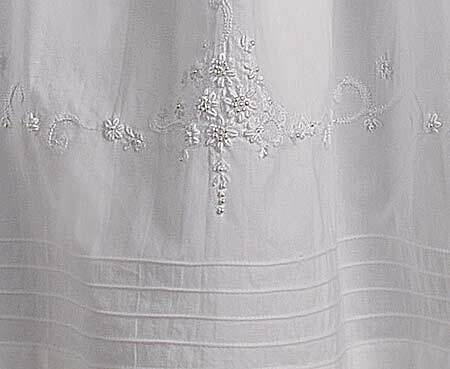 Hand made and hand embroidered in South America. Shipped with elegant padded hanger and zippered vinyl bag. 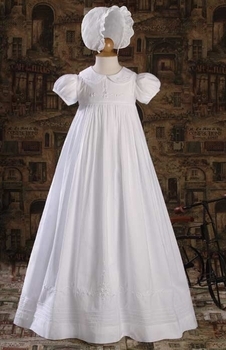 All christening gowns are custom ordered for each customer and are not returnable. 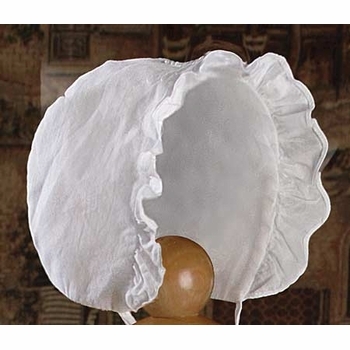 Christening accessories, bibs, bonnets, shoes are also not returnable. Each piece ships directly from the designer.